The failure of a California bill to make it the first state in the country to legalize safe injection sites for drug users has not deterred proponents, which include many providers and public health experts. California bill AB 186 would have allowed Alameda, Humboldt, Los Angeles, San Francisco and San Joaquin counties to approve facilities specifically designed to allow for the consumption of drugs. The bill fell two votes shy of the 21 needed to approve the measure before the end of the state's legislative session on Friday. A number of lawmakers were absent for the vote last week, giving Dr. Paula Lum, professor of medicine at the University of California San Francisco hope that the issue will be revisited in the next session in January. "From a public health perspective, I see a huge benefit," Lum said. "It's not from a lack of physicians understanding that this is something that should be pursued, I think now it's kind of at a political level." San Francisco would likely host the nation's first safe injection site. The sites are controversial in the U.S. and are even banned by the federal government, despite there being more than 100 such locations in more than 60 cities around the world. Safe injection programs monitor drug use, provide sterile needles and connect drug users with treatment. But opponents say the sites promote greater drug use and could lead to increases in crime and violence, and many of the negative health effects—like infectious disease outbreaks—associated with intravenous drug use. State Sen. Ted Gaines (R-El Dorado Hills) told the Los Angeles Times that safe injection sites would "create sanctioned shooting galleries for street heroin." Republicans in the state Senate unanimously opposed the bill. Proponents, including many healthcare providers, argue that safe injection sites could reduce deaths and infections. Most recently, the American Medical Association adopted a policy in June endorsing such sites. "It is abundantly clear that existing policy measures are insufficient," said Alex Kral, co-author of the Drug Issues study and director of urban health at the not-for-profit research institute RTI International. "So people are looking for new types of policy measures." Safe injection sites have helped reduce the rate of drug overdose deaths in places like Vancouver, which opened a site in 2003. An analysis of that program between 2004 and 2005 found that it reduced needle sharing among HIV-infected drug users, and led to more than 800 referrals to drug treatment every three months during the study period. More than half a million people in the U.S., have died from drug overdose since 2000. Costs related to providing care for issues related to drug use have been estimated to total more than $20 billion in emergency department and inpatient services, according to the Centers for Disease Control and Prevention. 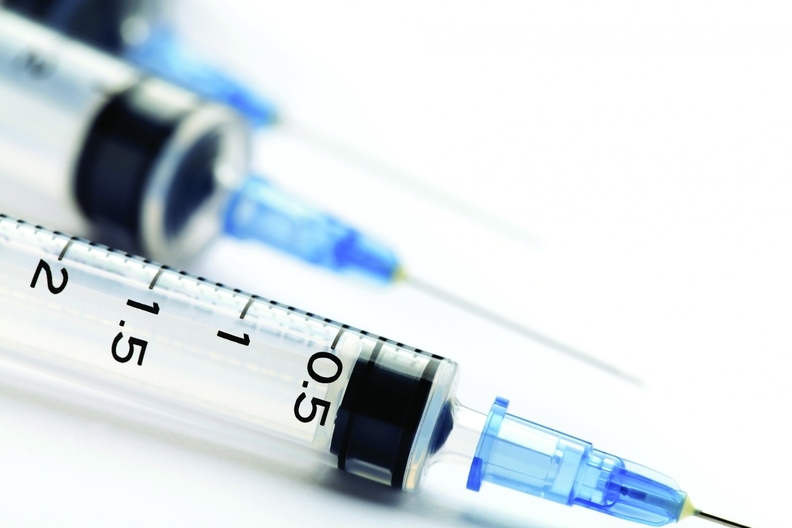 Intravenous drug users comprise an estimated 56% of new hepatitis C infections and 11% of new HIV infections annually despite making up 1% of the population, according to a study published last December in the Journal of Drug Issues. That study estimated a single safe injection site in San Francisco could lead to a $3.5 million a year in cost savings in avoided medical expenses related to substance use. Municipalities dealing with the epidemic are looking for solutions. Baltimore, which has one of the country's highest rates of heroin-related and overdose deaths, has considered a site. A recent cost-benefit analysis for Baltimore found safe injection sites could save $7.8 million every year with 374 avoided hospital days for skin and soft-tissue infection, nearly six overdose deaths prevented, 108 avoided overdose-related ambulance calls, 78 avoided emergency room visits, and 27 avoided hospitalizations, and bring more than 120 additional people into treatment.